This rendering shows a retail building planned for 725 Skymarks Drive. Ashco Inc. intends to develop a retail building at 725 Skymarks Drive in River City Marketplace. 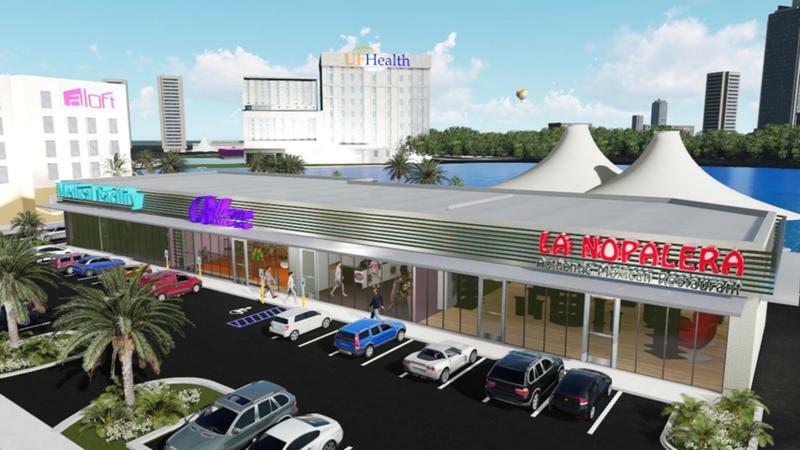 A rendering at ashcoinc.net shows several tenants, with La Nopalera restaurant at one end, a Bellezza Nails Spa, at least one more tenant and an unnamed medical facility at the other, according to our Jacksonville Daily Record news partner. The 22,040-square-foot multitenant building is in city review at a $1 million construction cost. Tenant build-out would be separate. Ashco says tenant spaces are available from 1,500 to 3,000 square feet. The project – called River City Market Place – also is in review by the St. Johns River Water Management District. It is near the Aloft hotel. Plans also detail a 2,005-square-foot waterfront patio. 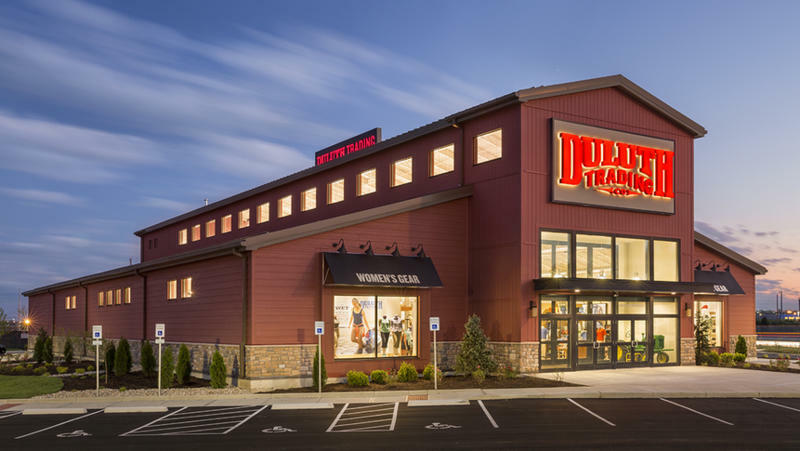 Duluth Trading Co., the casual and workwear clothing company whose quirky animated ads tout its Buck Naked underwear and Fire Hose pants, is planning its first Florida store at River City Marketplace.